The suburbs are more than white picket fences and quiet streets. More and more Chicago burbs are getting an urban feel with busy downtown areas, but that doesn’t change the welcoming community vibe. If you want to settle somewhere you can foster close-knit ties with your neighbors, check out these friendly Chicago communities. The western suburb of Elmhurst has a plethora of community events that will introduce you to your neighbors in no time. Every August, catch Park Palooza, which brings together food trucks, a wine and beer garden, music, and activities for kids. 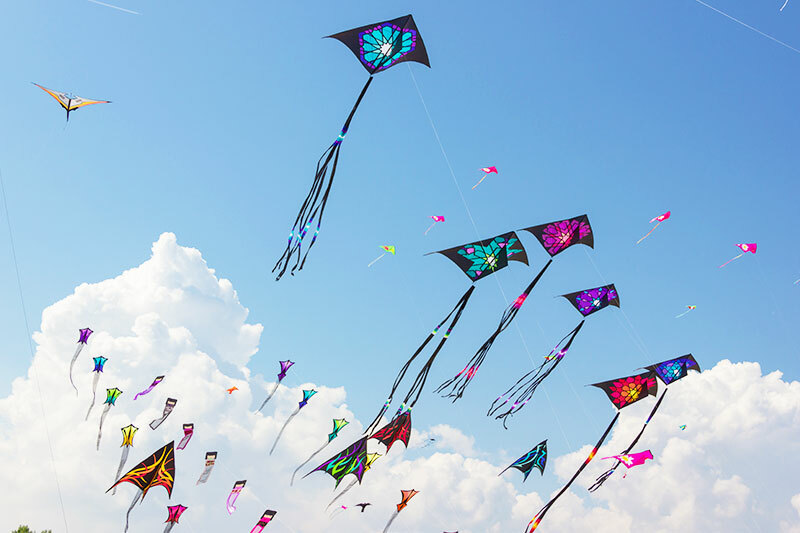 The suburb also hosts other summer events like Kite Fest and the Great Western Prairie Work Day, which brings resident volunteers together to maintain the community’s prairie land. If you want to meet an exercise partner, Elmhurst hosts events like the Dan Gibbon’s Turkey Trot, a Thanksgiving 5K, and the Elmhurst Cycling Classic. Families with kids will love the annual parades that the town hosts. Neighbors turn out in force for the Memorial Day Parade and Spring Road St. Patrick’s Day Parade. 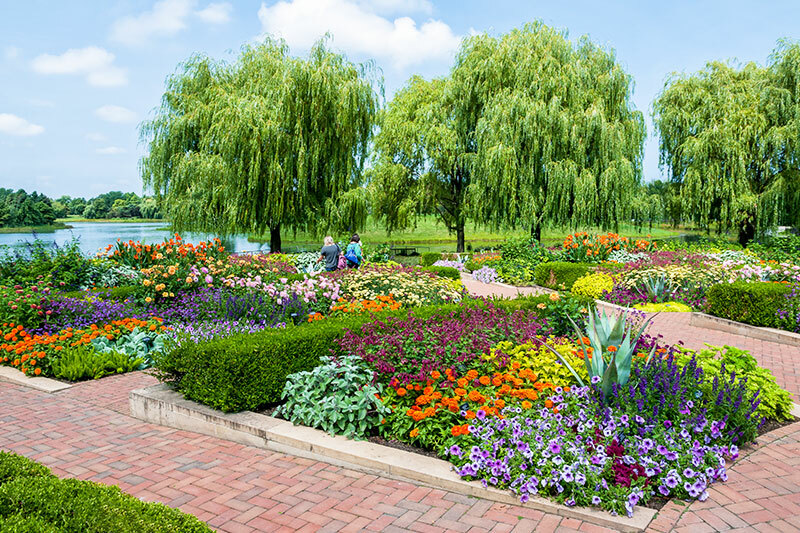 Glencoe is home to the Chicago Botanic Gardens, an attraction that brings people together for adult- and kid-friendly events. Simply come to walk through the gardens, or stop by for options like the Kite Festival or Garden Chef Services, a tutorial on how to cook with fresh fruits and veggies. The northeastern village also puts on a number of special community events throughout the year. Get to know your neighbors at the Movies on the Green series or Glencoe French Market, an outdoor market that runs through October. The Glencoe Park District also puts on free events that bring the community together. Outdoor enthusiasts can compete in the Great Mud Run, while aspiring artists can try their hand at painting, ceramics, and more through the Adult Art Programs. 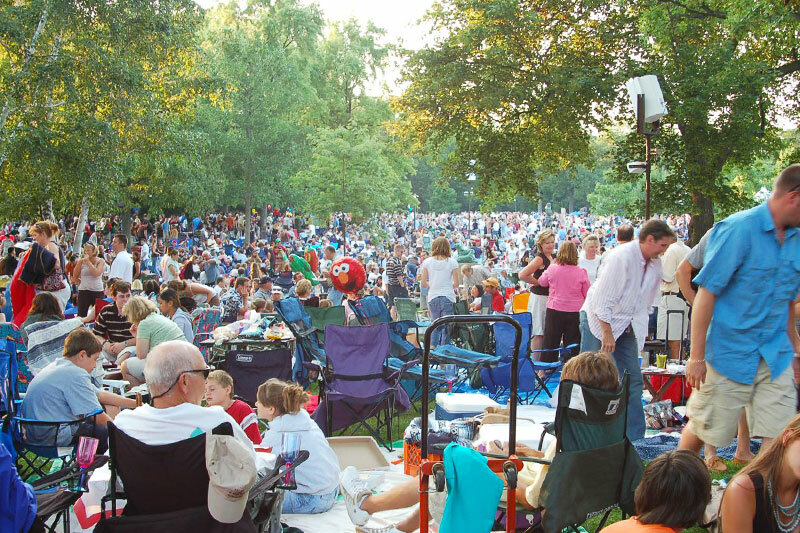 Ravinia is one of the main Highland Park attractions. During the warm months, join your neighbors out on the large lawn of the performance space to catch shows ranging from film screenings and comedy acts to classical music and kids concerts. People pack some pretty serious picnics to enjoy at this spot. Expect to see impressive spreads laid on portable lawn tables. The suburb also hosts events in its downtown area. Check out group yoga sessions, or take a trip back in time with the Highland Park Historical Society. The Park District of Highland Park also offers residents the opportunity to mingle with various facilities and programs. Take tennis lessons. Join a lacrosse or volleyball league. Meet fellow dog owners at Moraine Park Beach. In 2016, Money named Hoffman Estates one of the best places to live in the country, pointing to events put on at the Sears Centre Arena, the suburb’s golf courses, and its miles of biking paths. Plus, the suburb has an impressive lineup of activities through its park district. Join your neighbors on organized walks, at holiday celebrations, 5Ks, and more. 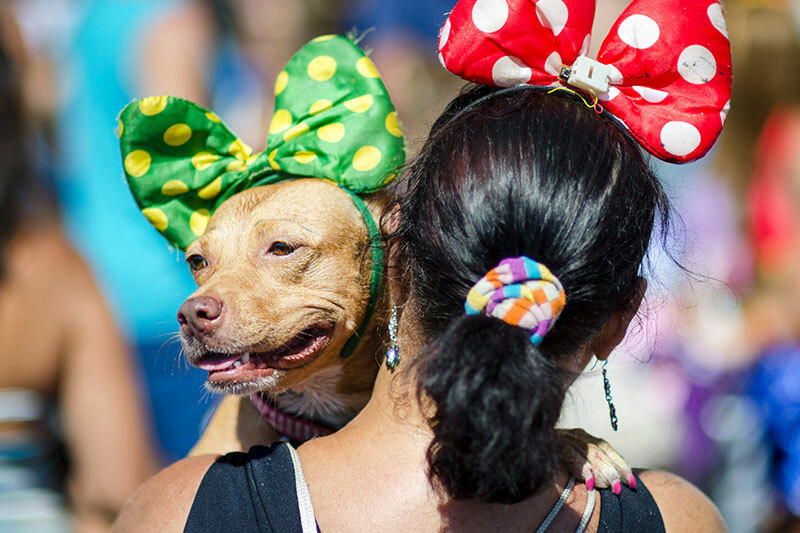 Competitive residents can compete in the Hoffman Estates Fishing Derby, while pet lovers can bring their dogs to the fall Doggie Carnival in Fabbrini Park. Naperville is the perfect suburb to grab dinner with neighbors-turned-friends. Downtown Naperville has an impressive array of restaurants, cafes, and bars. 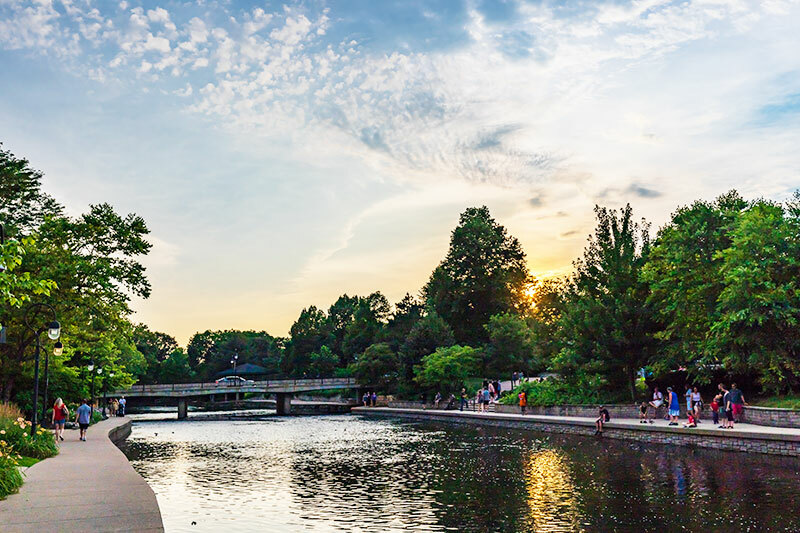 After eating and drinking your fill, you can walk along the scenic Naperville Riverwalk. The City of Naperville hosts farmers markets in various locations, the live music event Naper Nights once a month during the summer, and block parties. You can even look for events specifically set up to help neighbors get to know one another. For example, the city’s community group Naperville Newcomers and Neighbors Club hosted a coffee at Naperville Bank and Trust. The community organization puts together other activities like book clubs, knitting groups, Scrabble nights, and volunteer opportunities. Like many other suburbs, the park district is another source of community connection. The Naperville Park District has indoor and outdoor programs across its multiple facilities. Kids can get involved with team sports and gardeners can help green up the community.